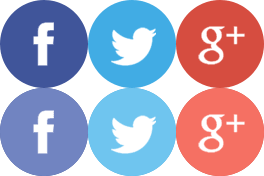 Regular readers of our blog will recognize that we are constantly encouraging people to “avoid delay” in contacting a lawyer if they have been injured in an accident. There is a very simple reason for that. Florida law does not give you an unlimited amount of time to sue someone for injuries. Instead, the state creates a certain window of time, and if you miss this deadline then you cannot file your lawsuit. These laws are called “statute of limitations” and they are very important. What is the Statute of Limitations for Personal Injury? However, if a loved one has died and you are bringing a wrongful death lawsuit, then you only have two years from the date of death to bring a lawsuit. Why Do We Have Statute of Limitations? You might think someone who is injured should have all the time they want to bring a lawsuit. After all, if someone is at fault for your accident, then there is no reason that person should not be held responsible. However, Florida disagrees. Like all states, Florida has created statute of limitations for personal injuries like car accidents and slip and falls. There are a few reasons for a statute of limitations. For one thing, it is unfair to a defendant to ask them to defend against allegations when their memories are no longer fresh. If someone waits 20 years to bring a lawsuit, then the defendant might have forgotten about the event in question. Also, Florida wants judges and jurors to have access to high-quality evidence when deciding cases, which should increase the likelihood that they will reach the right decision. Over time, however, witnesses can disappear and physical evidence can vanish. A statute of limitations forces injured victims to collect evidence in a timely manner and then present it to a jury. Yes. To give one example, the statute of limitations might be tolled (stopped) if the injured victim is a minor child. In this case, he or she might have more than four years to file a lawsuit. However, it is not always easy to determine whether an exception applies, so injured victims should not delay getting to an attorney as soon as possible to analyze their claim. A lawyer is better positioned to determine whether your claim is still valid and can take immediate steps to protect your rights. At Earnhart Law, we have been helping injured victims for over 30 years, and we continue to serve the Delray Beach area with great pride. 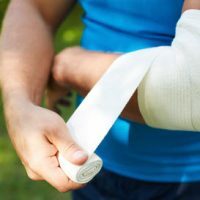 If you have been injured in a traffic accident, slip and fall, or dog bite case, then you might have a valid claim for compensation. Please reach out to one of our attorneys right away to discuss your options. Please call 561-265-2220.